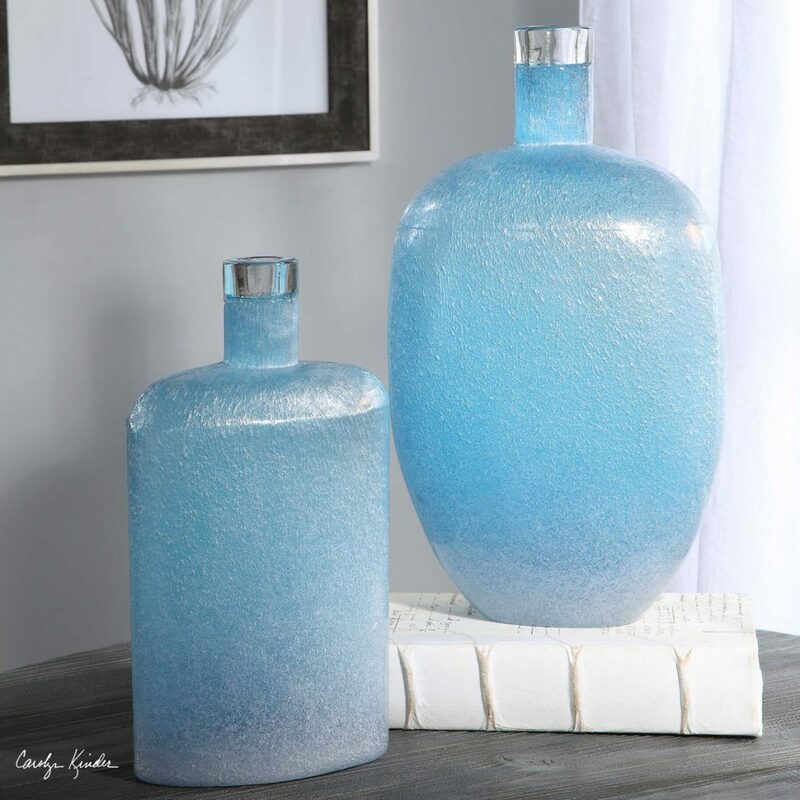 Our Suvi Modern Glass Vases feature seeded cerulean blue art glass with clear glass tops. Designed by Carolyn Kinder International, these beautiful and functional accessories are a perfect fit for today’s modern coastal interior design style. Available to trade professionals at Uttermost.com. For retail purchase Google keyword “Carolyn Kinder Suvi Modern Glass Vases”.